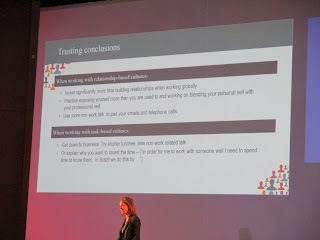 I also really enjoyed the session by Erin Meyer at the HR Congress, based on her book, the Culture Map. I think that's partly because I enjoy this sort of thing, and it links to my current focus on relationships and my forthcoming book, The Social Organization. Also because, although I've used Trompennars' work (eg I had a well thumbed copy of Riding the Waves of Culture in Moscow) and refer to Hofstede's internet site every time I travel, I found Meyer's analysis quite insightful. 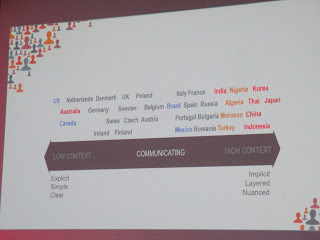 And also because Meyer used the example of Russia several times, which is where I used to work, and also Japan, which I'm visiting next Summer. 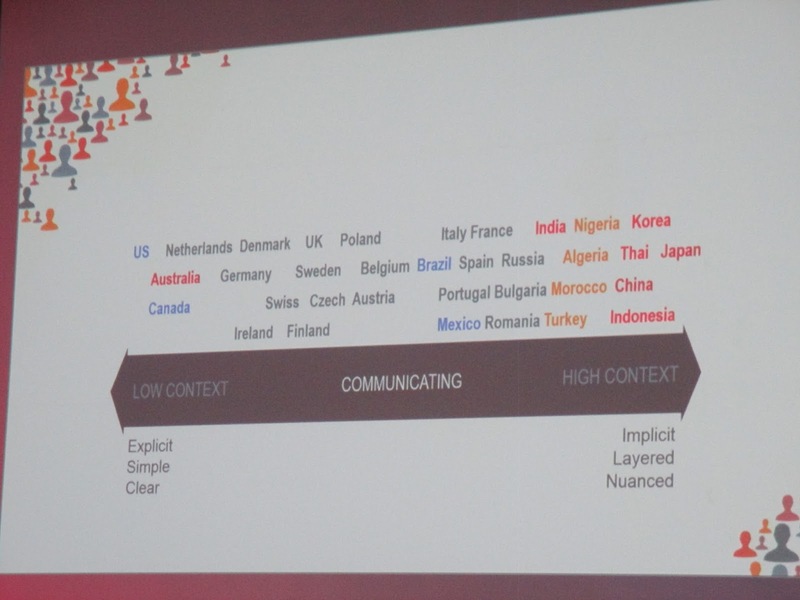 Eg here the cultural map scales for communicating and evaluating shown for Russia and Brazil above. 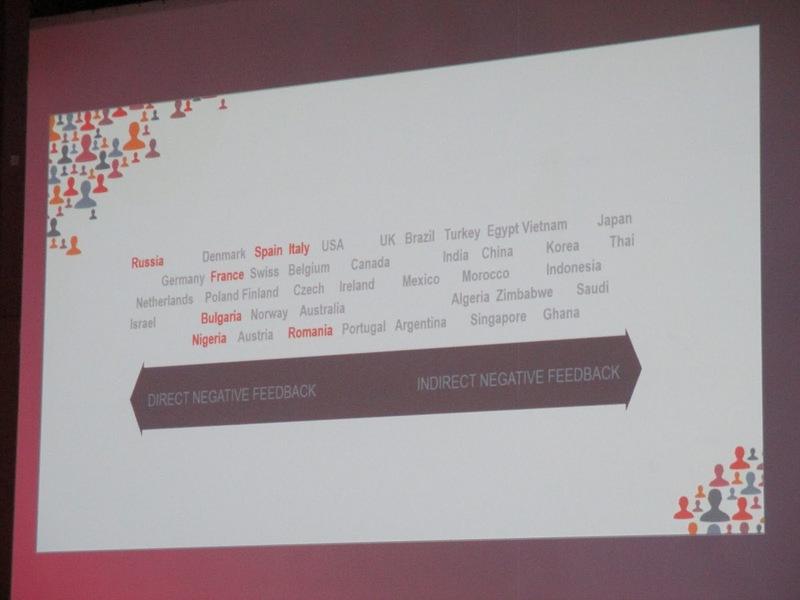 Although related attributes, Russia as an average tendency towards high context, but also direct negative feedback. 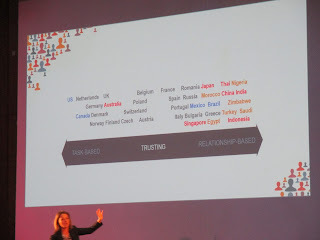 Another interesting scale is trust which Meyer believes is moving from from cognitive to affective, largely because of the shift in axis to Asia. I agree this is happening but think it's more about increasing complexity and inability to manage through task vs relationship - in the West as well. 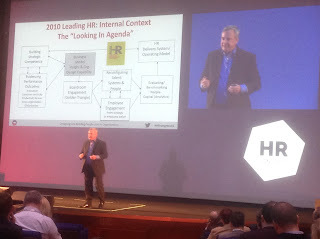 I'm speaking at, and attending the HR Congress in Amsterdam this week. 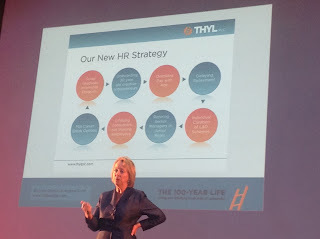 I enjoyed seeing Lynda Gratton speaking about the 100 year life. 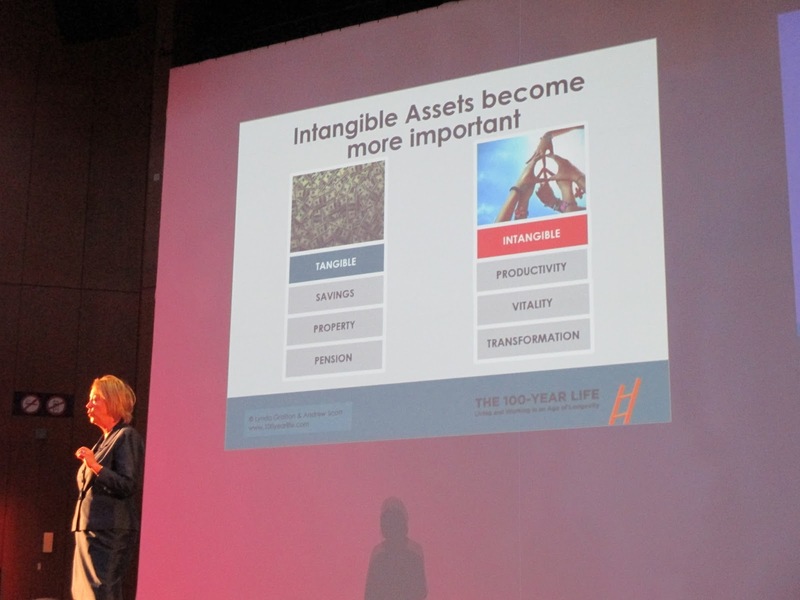 Given this extra time, it becomes more important to manage own own wellbeing and effectiveness, enabled through a greater focus on intangible assets: productivity (knowledge, peers and reputation), vitality (health, balanced living and regenerative relationships) and transformation (self knowledge and diverse networks). 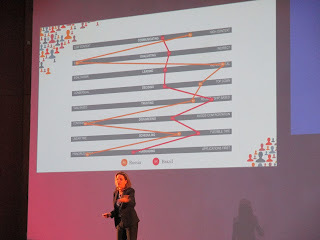 It was interesting to see connections, relationships and networks, ie social capital come up in each of these asset types. 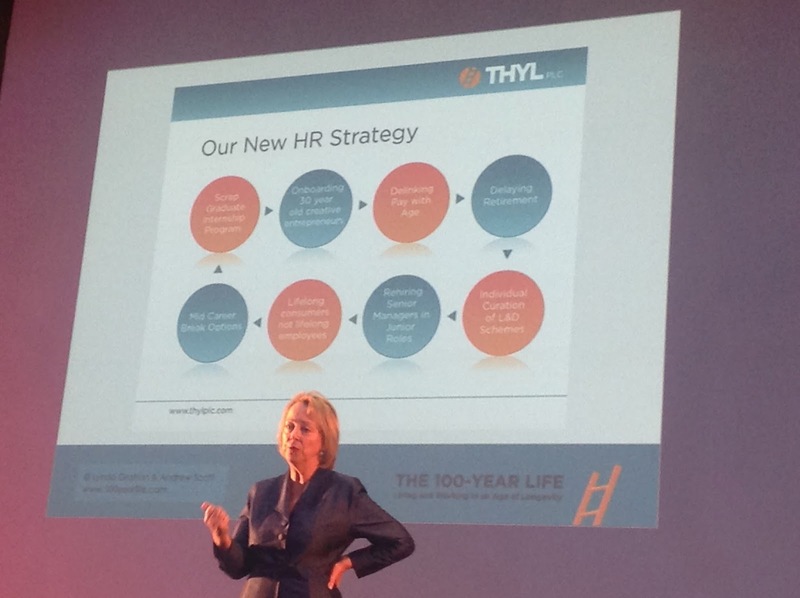 Lynda also talked about the sorts of changes this would bring about for companies' HR strategies. 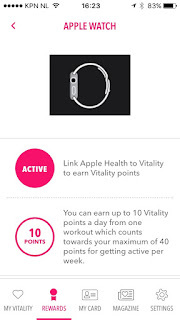 Lynda Gratton's focus on vitality also made me think about my Christmas present to myself - an Apple Watch which I'm getting free care of my health insurer, Vitality. That's as long as I do enough exercise each day. Another great example of a response to our longer lives. One of the most interesting sessions for me has been Paul Sparrow speaking on changing practices within HR, linked to two of his previous books, Leading HR, and Do We Need HR? Do We Need HR, in particular, is one of my favourite HR books, though has little in reality with dispensing with the HR function. Instead, it's my favourite book on best fit HR, describing how HR might look different in various organisations depending upon their business strategy. 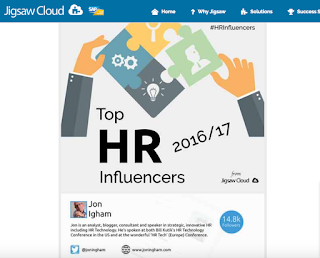 It compares opportunities for best fit with innovation, customer centricity, lean management and external collaboration focused strategies. 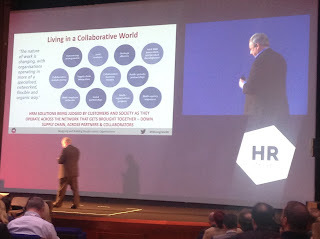 In his keynote, Paul discussed the impact of increasingly collaborative environment. 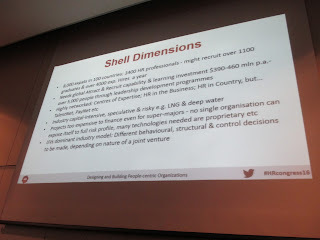 In an afternoon workshop, we then discussed a handful of examples, eg Shell. The new environment means that HR needs to focus more on risk, capability and governance, and on building trust. This can be supported by reliability, predictability and competence. Create strategic integrator roles that operate across internal and external businesses and bring together dedicated expertise under their leadership. 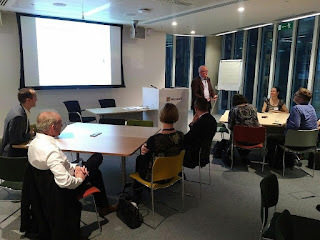 In advance of today's announcements from the UK Government on executive pay here is my summary of the recent event 'Positioning Reward for the Future' where I presented a few ideas about innovating and transforming enterprise reward agendas. This was delivered to a group of senior reward leaders in a session at Microsoft’s London HQ ably organised by beqom. I opened the session by describing the changes in total rewards and the ‘new pay’ which have taken place but may not have lived up to their initial promises. Certainly if you compare changes in reward to the huge changes which have taken place in recruitment, learning, communication etc, and now even in performance management, I think reward looks increasingly out of step. And given all of the concerns with and challenges to current reward approaches this might be a good time to look again at what we can do. These challenges include a still increasing numbers of shareholder revolts, and people questioning the value of bonuses etc. It also relates to the new types of employees and other workers (including in the gig economy) often with new expectations. All of this is supported by ongoing changes in legislation together with increased uncertainty following the Brexit referendum over here and the US election over the pond, e.g. with the likely unpicking of DOL overtime regulations etc. And if Trump’s planned investments in US infrastructure do send global interest rates upwards this will give us greater opportunity to make larger reward increases and to change the basis for paying people as we do so. I asked those attending about the recent innovations they had implemented or were planning in their organisations and was initially met with a suggestion there had not been that much; that where there had been innovation it had tended to be incremental rather than transformational; and that there may not even be much of an opportunity to innovate anyway. 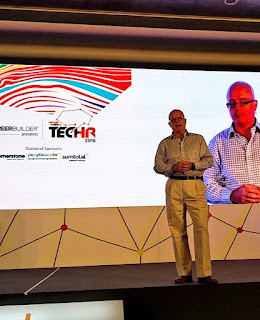 I challenged back that I believe there is and referenced Gary Hamel and Julian Birkinshaw’s suggestions that the greatest opportunities for innovation today may not relate to our products, processes or business models but be about the way we manage our firms, very much including HR and Reward. I also think the current debate around basic / universal income shows the extent of what we may be able to do. Making better use of what we are already trying to do. E.g. 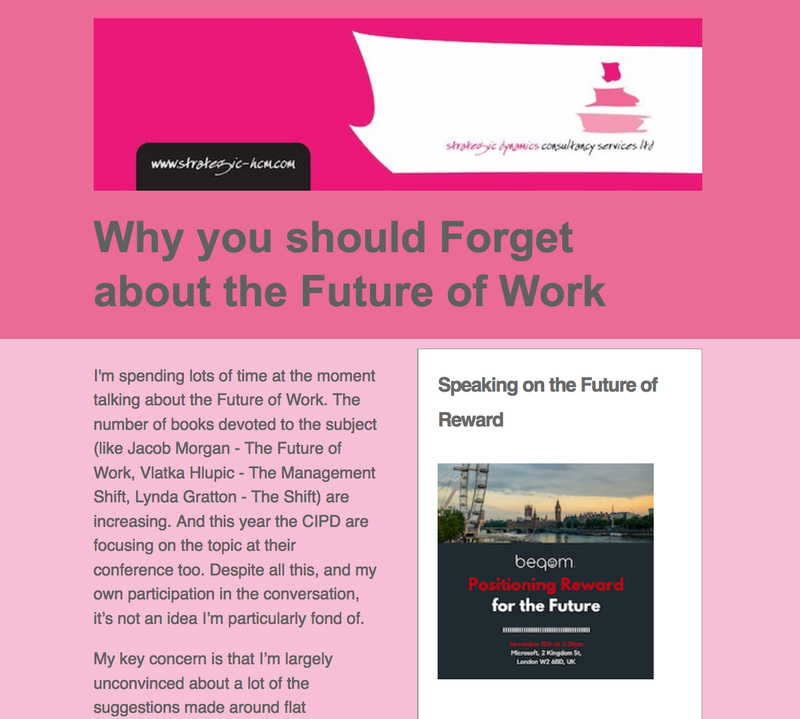 taking a more employee centric perspective ensuring rewards are designed to motivate people; and then communicating the value they are gaining (eg through total reward statements). Also allowing managers more direction to set pay (within a framework) - partly because this is one of the key responses required in firms which have abolished performance appraisals or have dropped performance ratings. Team level reward. CEB suggest the proportion of work which is now collaborative vs individually based increased from 20 to 50% over the last decade. So shouldn’t our rewards be more team focused too? This might be about motivating people to demonstrate team behaviours; rewarding teams (whilst avoiding social loafing) or even enabling team members to agree their own pay levels across a team. It’s hard to do but I suggest we may now need to go there. I talked about Whole Food Stores as an example. This company empowers their teams to decide how they want to use their pay budget e.g. to decide whether to recruit another person or simply to work harder and take more out themselves. Increasing pay transparency - partly because this is probably going to be the best way to resolve intractable equal pay problems and partly because organisations will need to do this to enable managers to take responsibility for reward decisions, or for team members to do the same. Transparency is only going to increase anyway - e.g. 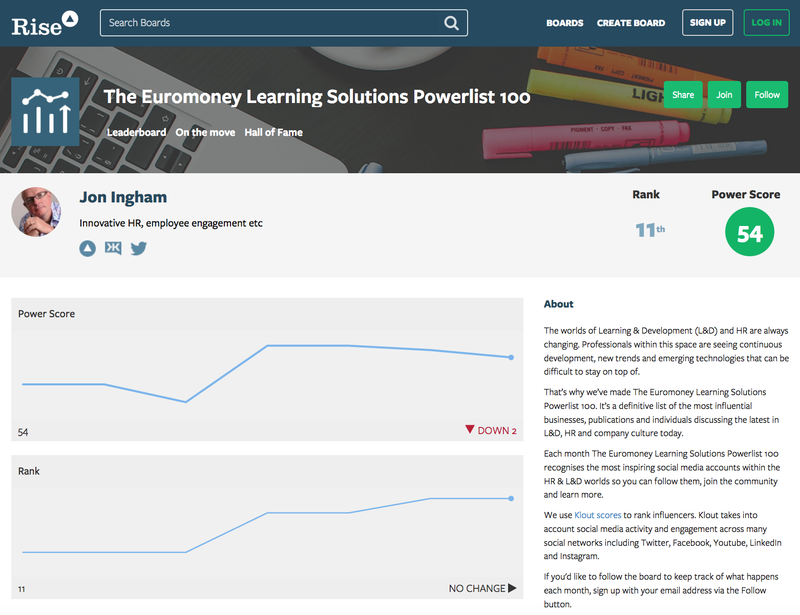 see the new Glassdoor ‘Know your worth’ (US) and Linkedin salary (US and UK) tools both launched earlier this month. See Buffer’s approach as an example of what can be possible. Reducing pay differentials. The High Pay Centre suggest that an average FTSE CEO now earns 183x the pay of their average worked. This is having a huge impact on engagement, collaboration and even companies’ licence to operate. It’s why Whole Foods has a maximum pay differential of 14x. One of the attendees suggested they all understand that they need to tackle this in their organisations. I was pleased to hear that this is the case and didn’t challenge the point but if we understand it let’s do something about it! Taking a proposal to reduce the CEO’s pay to the RemCom may be a potentially career limiting move but if the differential in your business is anywhere near 183x and you can see the damage this is causing are you doing your job effectively unless you raise this? Reducing or at least being smarter about the use of variable pay as so much research suggests this interferes with collaboration and innovation. Even investment bankers and salespeople often see their bonuses as a simple recognition of their value vs their colleagues rather than a fair reward. Attendees noted that this was something else they all knew they needed to do something about. So once again, let’s do it! Taking advantage of the opportunities provided by prosocial rewards i.e. making a donation to charity, the local community or some good cause to show that the company wants to do the right thing and encouraging this response from the employees. I mentioned a recent attempt to do this at Virgin Atlantic but my understanding is that this wasn’t really prosocial. Offering an incentive of a payment to charity is still just an example of an incentive. Prosocial reward is about making that payment in advance in the expectation that this may encourage a return of effort and discretionary behaviours. Using gamification e.g. virtual currencies as at IGN, and probably even more usefully, social recognition. This builds on people’s traditional willingness to recognise each other and makes it easier for everyone to do it, all of the time. It uses the principles of social proof to create a reinforcing cycle in which people see recognition taking place which encourages them to recognise people too. So I do think there is plenty of opportunity and I’m sure we’ll see other approaches emerging too. We didn’t even touch on some of the bigger opportunities such as switching from payment for peoples’ time to rewarding based on their outputs! However I’d repeat the word of caution I finished with at the event. The above suggestions may prove to be aspects of the way forward in reward but they can never be the sum of what’s needed in any one business. There’s a lot of attention currently on ideas like disruption and the future of work however moving from one set of best practices to any other set, including the ideas listed above, is unlikely to be much of an advancement. The real need is for better, smarter, best fit thinking that identifies particular opportunities for a particular business. And the ambition, bravery and creativity to do things differently, or at least to run simulations and experiments in doing so. This is obviously enabled by having good data and technology which helps do the analytics necessary to inform good decision making. My final words were an encouragement for attendees to go and create havoc - which I didn’t quite mean! But I think people understood my intent - that there is plenty of opportunity to shake things up in reward, and that increasingly, there may be a strategic requirement to do so. Our mission is to make the workforce of our customers happy. beqom drives happiness by allowing business managers to lead, align and motivate employees and partners. The beqom Total Compensation platform is used globally across all industry sectors by over 100 large companies such as Microsoft and Vodafone. It addresses all Performance and Compensation aspects such as Salary Review, Bonus, Long-Term Incentives, Commissions, Benefits, Non-cash rewards and all key drivers towards Employee Performance and Sales Performance. 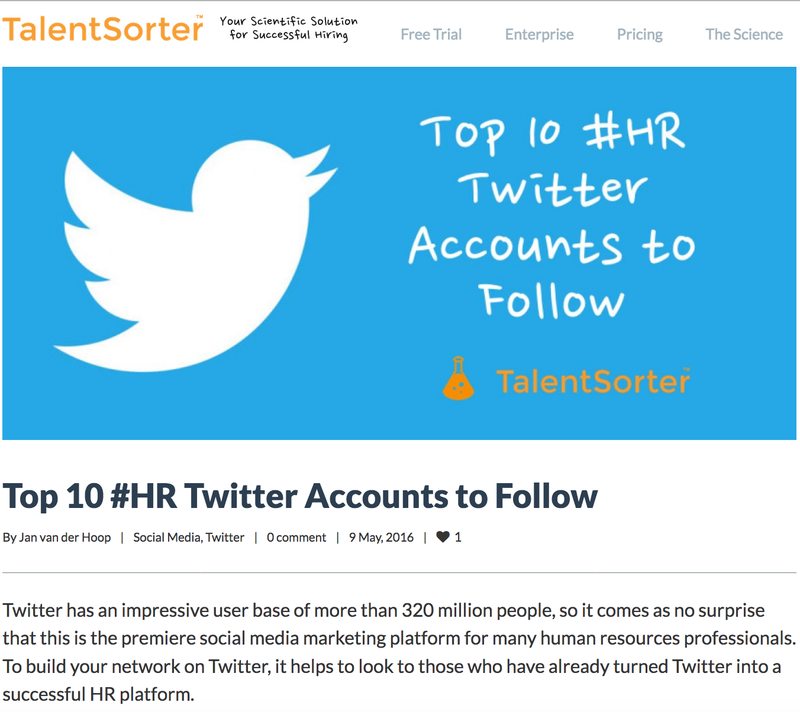 HR, Sales and Finance organizations leverage our platform to drive performance, retention, cost optimization and... happiness among their people. Here is the video of my ignite presentation at People Matters' Tech HR conference in India this August. My suggestion was that the latest breed of workforce productivity tools correspond to the creating value level of strategic HR and that they therefore need to be used in a creating value way. We err when we forget this and try to treat these systems like traditional technologies. A good example is measurement through wearables and other technologies - the tendency is always to grab hold of this data to manage people tighter. 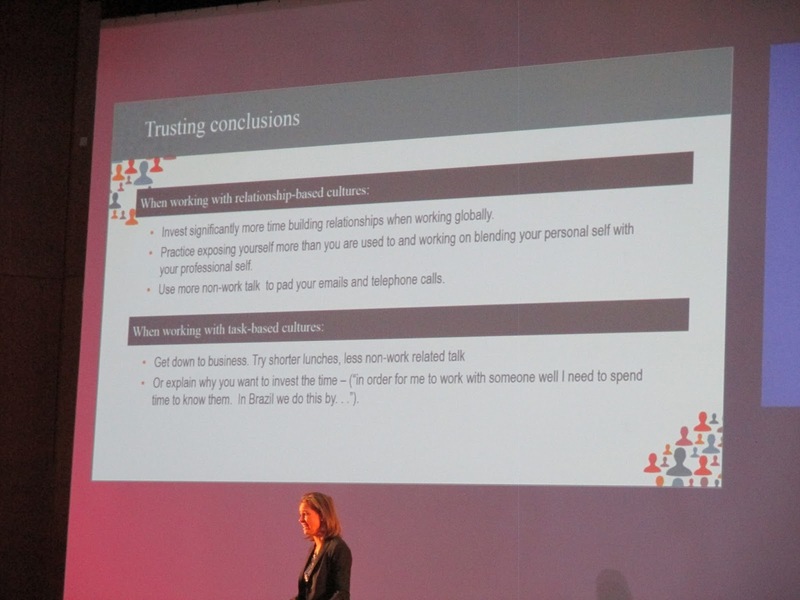 See this post from WEF -They’re already here: devices that let your boss monitor your brain. Creating value actually needs us to loosen up and give this data to our people to help them manage themselves. I'm not actually at the CIPD conference, but from a content perspective that's not too important today, given how much of conferences get blogged and tweeted. 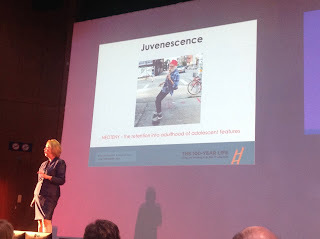 I do miss the connections - and the basis for developing social capital - but Manchester doesn't provide this opportunity in the way Harrogate used to do. I was looking up my post on this from a long time back, in my early days of blogging, and realised this was actually ten years ago! Back then there was no blogsquad, in fact I was the only person blogging. There was no Twitter to promote my posts either. But blogging was already a great way to reinforce my own learning. Then blogging started to catch on and I remember a couple of years spending time in small huddles with people like Mike Morrison and Steve Bridger tweeting together from the plenaries and then catching up with each other and sharing insights from our separate sessions in the syndicates. Today conference blogging is a lot more mainstream and the Twitter stream is full on too. But if anything there's now less, not more, actual online conversation, which I think is a shame. 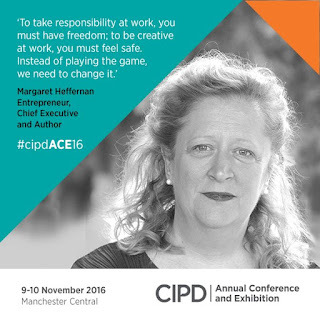 Anyway, happy anniversary to the CIPD and all those blogging on the conference! Maraget Heffernan has been keynoting at this year's CIPD conference this morning. She has some great ideas and interesting research on and around social capital published in her books, A Bigger Prize and Beyond Measure. These focus largely on the increasing need for collaboration rather than competition. She puts a lot of our current focus on competition down to the role of testosterone which can lead to aggression, dominance, poor judgement and weaker emotional intelligence. It also impairs our ability to infer people's intentions and emotional states. Most importantly research shows testosterone causes a decrease in the capability of collaborative groups. In men it rises when we are challenged and again if we win, but it falls if we loses. This creates a hormonal feedback loop in which those who need power get it and continue to demand more power. This doesn't happen in women as testosterone levels do not rise to challenge. The effect depends on nurture as well as nature. Low power distance societies such as Finland, New Zealand and Austria tie power to expertise and in particular the ability to secure the participation and collaboration of others rather than status and dominance. For example their tax systems act to reduce income differentials. In the US, UK etc we are told we have to compete to be successful, but this has negative consequences too. It's like Heffernan's CIPD session and TED talk comparing super-chickens with an average group in which the individually productive chickens succeeded by suppressing the productivity of the rest. This superflock is like a lot of our companies. But managing by pecking order and giving organisation superstars all the resources and power mainly creates aggression, dysfunction and waste. We need a better way to work and a richer way to live. 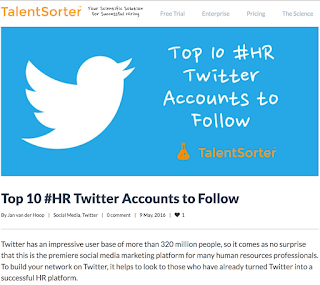 HR or our organisations. 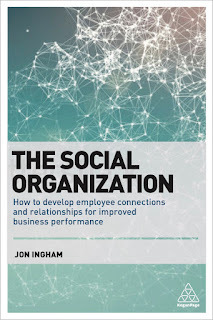 My own book The Social Organization will be out next Summer and will show how companies can build success on a collaborative approach. 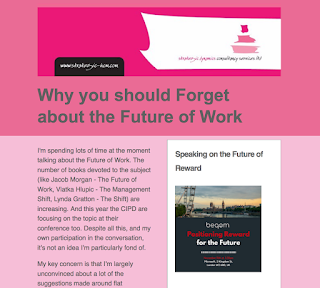 As you may know I originally started up this blog to boost sales of my last book, Strategic Human Capital Management: Creating Value for People, and managing people for human capital remains a regular feature of the blog. However I've increasingly been posting on social capital as well, and this will now form the basis for my next book. 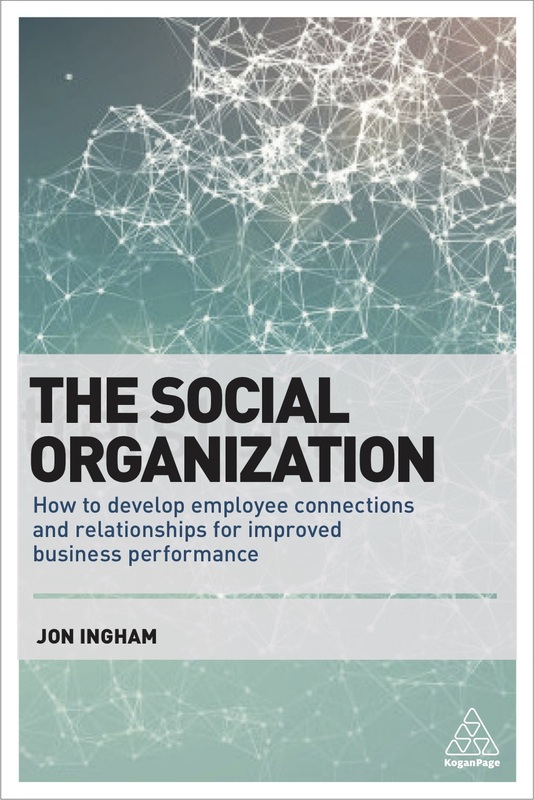 This book is going to be called The Social Organization and will be published by Kogan Page in June 2018. 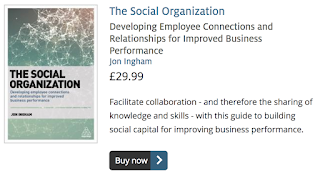 This book will in many ways build upon the last one, suggesting that we need to be clear about the outcomes we are focusing on creating, and than increasingly these outcomes need to focus on social as well as human capital. 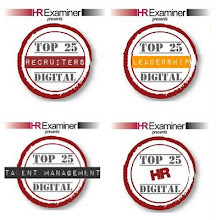 Thanks to those who have recognised Strategic HCM / myself over the last few months. WHERE: Microsoft, 2 Kingdom Street, London, W2 6BD. It is quite understandable that there has not been much innovation in the reward area. Mistakes in this area have much more impact than in other areas of HR. Employees and recruitment candidates also have ingrained expectations about the type of deal they will find. But actually retaining an untransformed set of best practices is not not without risk either. There is increasing evidence that the traditional ways of rewarding people need to change. Actually the whole idea of following generic best practices is probably misdirected anyway. 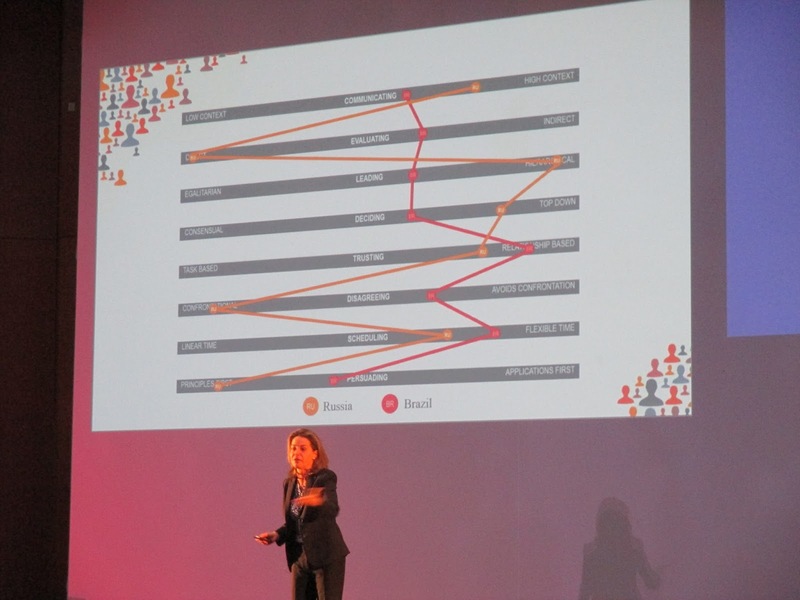 There is an interesting new article on Linkedin’s Talent Blog reviewing the development of Netflix’s unconventional HR and reward practices described in its famous culture deck (no annual reviews, market based pay, unlimited vacation etc). As the article notes, this came after 14 years of a heads-down approach where Netflix’s head of HR isolated herself inside its walls to come up with the streaming giant’s revered culture. That does not mean learning about new practices is unimportant - this is after all the purpose of this event. It just means that after learning about what may be possible HR and Reward professionals need to put their heads down and focus on what is going to be important for them. I'll be talking about how attendees can best do this as well. I hope you will decide to book for the event and look forward to seeing you there. I've got another of my rather irregular newsletters out. Take a look here and you can subscribe here too. 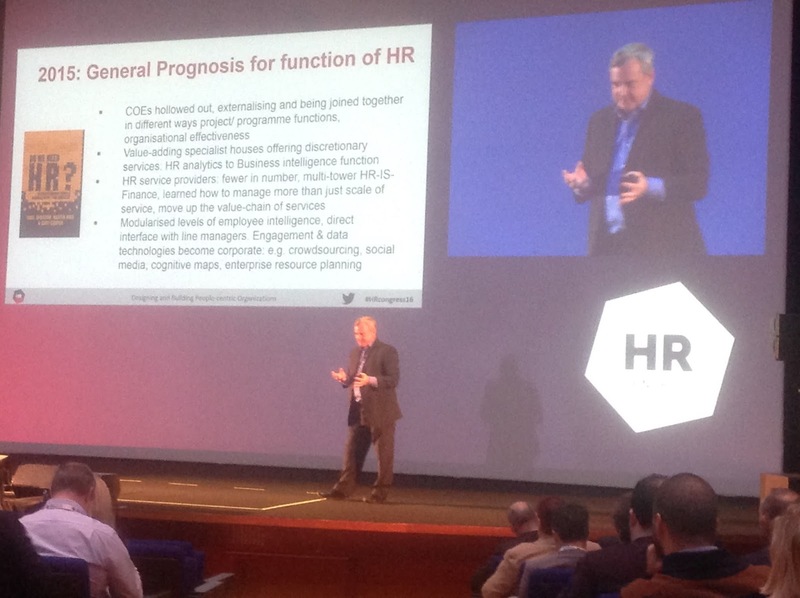 The CEB has been running another successful ReImagineHR conference in London, including some of their client case studies and also more of their excellent research. 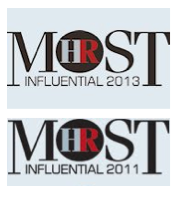 I think some of the most powerful insights this year focus on performance management and reward. According to CEB, removing ratings isn’t the way to do it and in fact despite the hype around it less than half of HR leaders are interested in doing this. 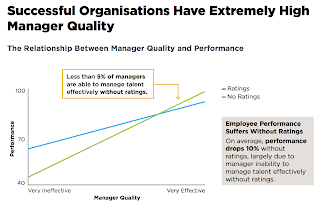 Removing ratings reduces the amount of time managers spend on performance management together with the quality of their performance conversations and negatively impacts employee engagement. 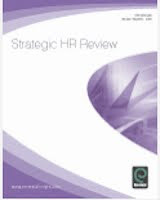 I think the most important suggestion which I completely agree with is that HR leaders should make an informed decision about removing ratings considering both their organisation’s situation and how removing ratings will affect managers and employees. I am personally very pleased that so many organisations are dropping reviews or ratings as it was never a process I appreciated as either appraiser or appraisee, but that’s beside the point. It really doesn’t matter whether it’s the trend or not - the only thing which matters is what is right for a particular business, and the employees who work in it. Linked to this, it’s important to note there is never one perfect solutions - ratings helps do some things well and fails at others, no ratings does other things well but suffers different problems too. So I also agree with the CEB’s advice that when organisations do remove ratings they need to take other appropriate actions to mitigate what may be the negative consequences. 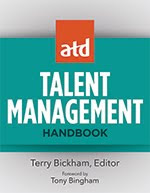 For example to ensure that employees still have a positive perception of pay differentiations, organisations should 1. guide managers to base pay decisions on simple criteria such as performance against role in order to identify employees who should receive the highest awards; and 2. help employees understand how their contributions and the organisational context have informed their pay decision in order to demonstrate how pay decisions were made fairly. 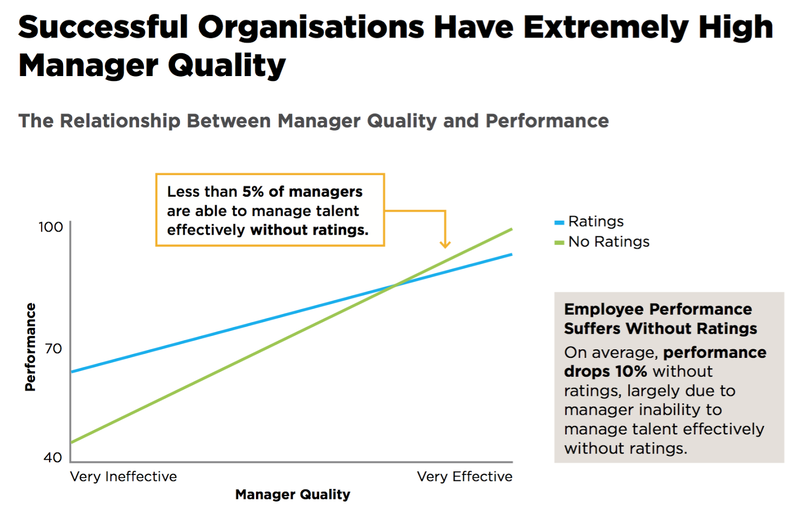 The other issue for many organisations is how they reward people appropriately without the crutch of performance ratings. CEB research suggests this may not be a particularly significant issue as organisations would do better to give a few big pay increases for large differences in performance rather than lots of little increases for small differences. I agree with this logic too though I worry about the impact of large differentials on the performance of CEB’s network contributors. That could be reduced by paying for different types of performance, for example improvements in, as well as exceptional levels of, performance. But the key comes down, once again, to the power of conversations - enabling managers to use narratives rather than ratings to explain compensation decisions to employees, helping them understand the impact of their performance and contribution. Another great set of privations and I look forward to next year’s conference. 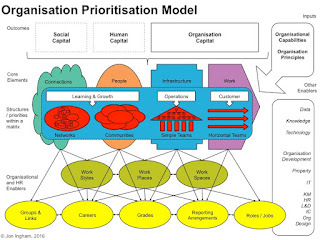 I've finally completed work on my 'organisation prioritisation model' (OPM) which has been in development for the last five years or so. At least I think it is now finished - certainly the only changes I've made to it over the last few years have been very minor. 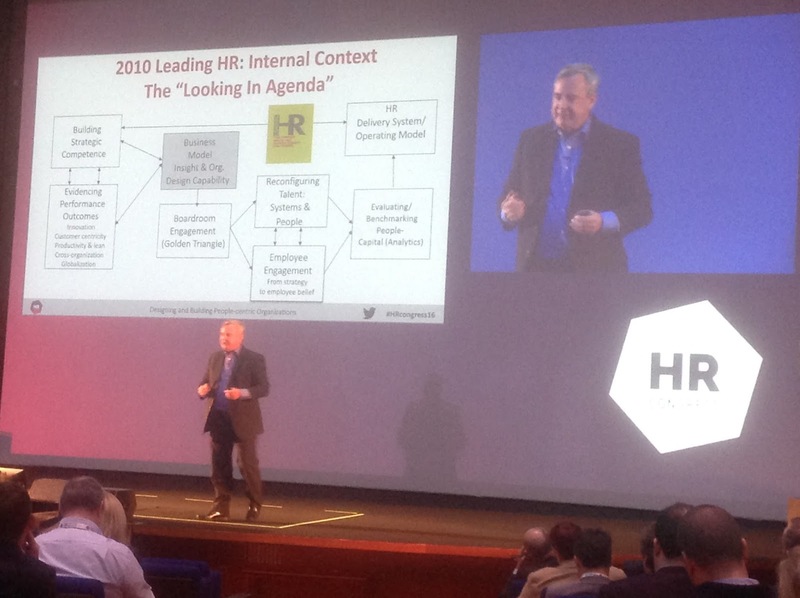 I've also used the model successfully in a couple of OD and HR transformation contexts. And I'm personally convinced it's a major step forward compared to Galbraith's Star model, McKinsey's 7S etc. It's more complicated - because the business environment and our organisations are more complicated. However it tries to make things as simple as possible by identifying four core organisational elements separately from the enablers which support it. In particular it gives more focus to the role of relationships and means we don't need to focus on something as unmanageable as culture. It's also dynamic, showing how design needs to be based upon clarity around organisational capabilities and principles (what and how) and that this then leads to the creation of human, social and particularly organisation capital. 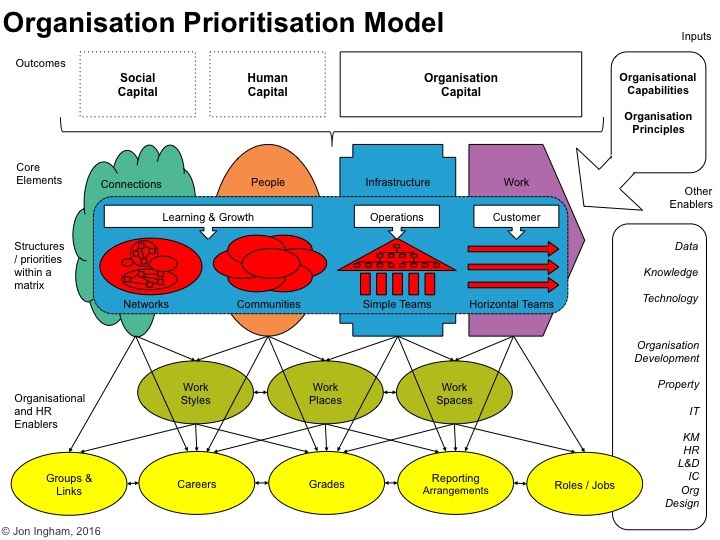 It helps prioritise an organisation's choice of structure based upon which of the core elements are most important. Eg a very people oriented organisation (perhaps one which competes on Kaplan & Norton's learning and growth perspective) may want to use a community based structure. The enabling elements separate out reporting arrangements eg self management and groups eg whether we are focusing on teams or individuals from the choice of structure. This helps aid creativity in design of organisation models and means we can be more specific in describing things like holocracy (a group based, top down, horizontal team structured organisation design). There's loads more I could explain, but which will wait to later posts. However I'm happy to answer any specific questions you might have here.